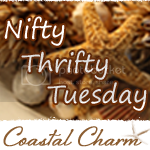 I am really excited to share a new find with you! Mr. H and I spent Saturday afternoon visiting art galleries in the Santa Fe Art District here in Denver. We stopped in a gallery called Artists on Santa Fe which is a gallery as well as a studio for artists. 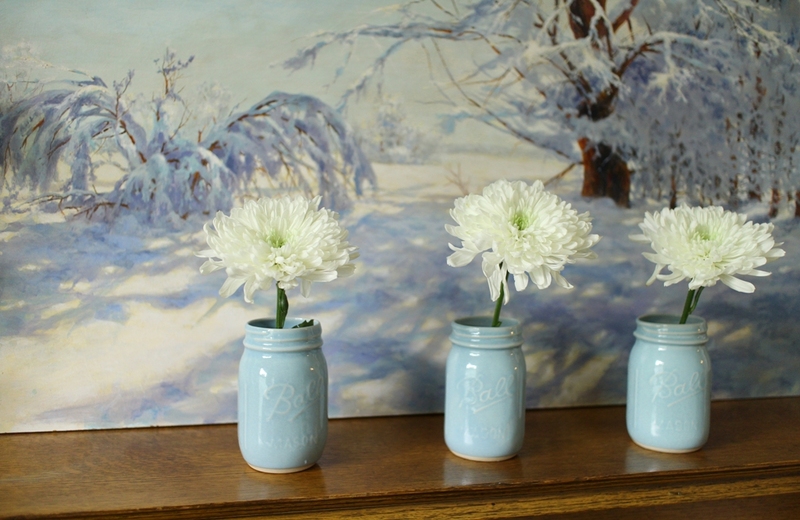 In the basement we found Jesse Woodworth's ceramics studio which is where I found these small light blue mason jars. I love mason jars and the color caught my attention right away. I've been wanting to add flowers to my fireplace mantel. They were the perfect color for my living room. I was intrigued by these. How were they made? Were they glass painted blue on the inside, or glass covered in ceramic, or ceramic made to look like mason jars? Lucky for me, Jesse was there so I got to ask him myself. Here are some pieces waiting to be glazed and fired. They are all ceramic! 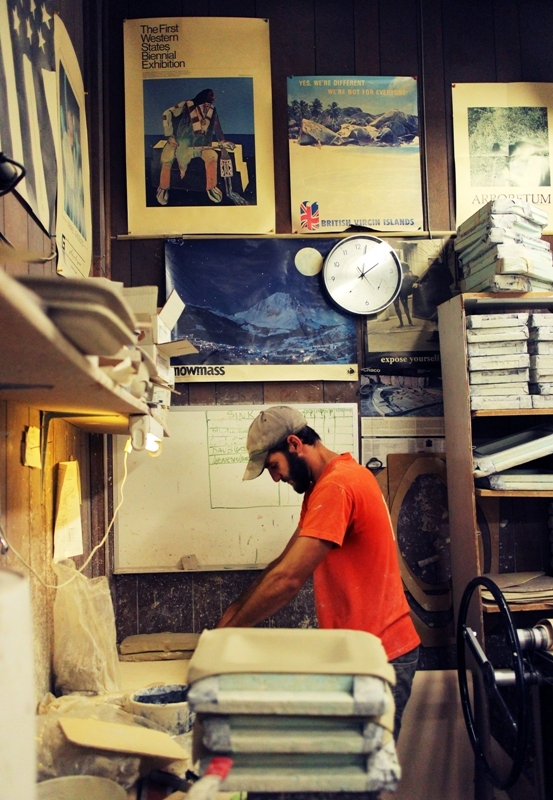 Jesse created a mold from the objects he wanted to create and used a method called slipcasting to create each piece. Being an inexperienced interviewer, I didn't ask him what slipcasting entailed so here's a link to Wikipedia that I researched when I got home http://en.wikipedia.org/wiki/Slipcasting. Now let me introduce the artist behind the ceramic jars to you. 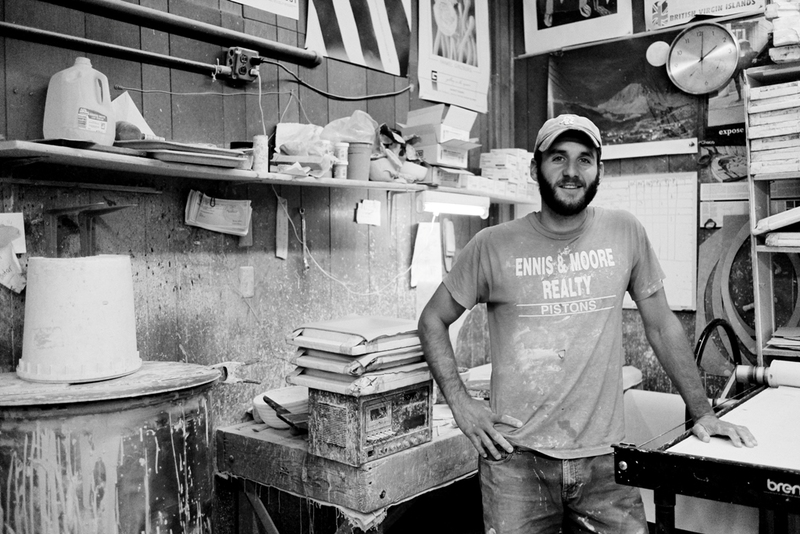 Jesse Woodworth is an artist who resides in Denver. His interest in ceramics started when he took a class in college and he's been perfecting his art steadily for the last four years. 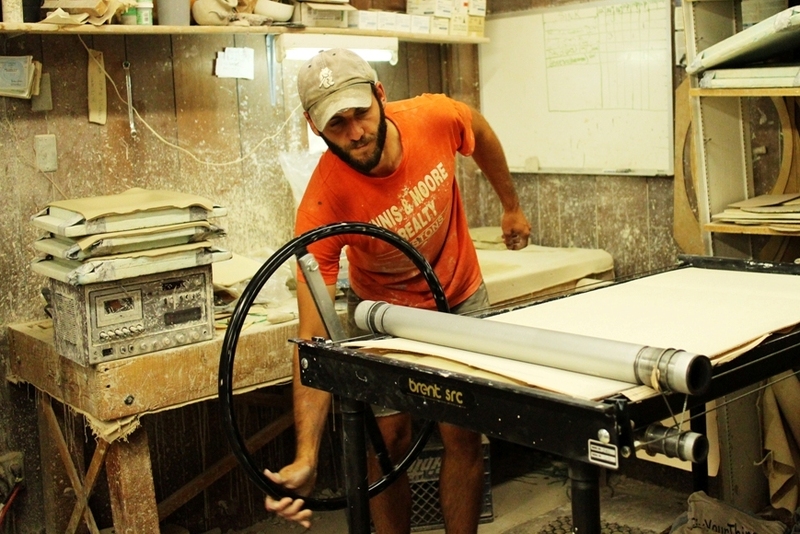 Right now, his interest is in making functional pieces that can be used daily. 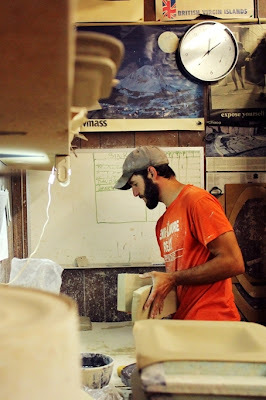 Jesse allowed us to spend some time with him as he worked on making plates for another local potter. Before we said good-bye to him, I asked Jesse if he could make a larger mason jar in the light blue and he said he could. Can't wait to see it! If you'd like to see more of Jesse's work or order from him, visit his website at www.jessewoodworth.com. 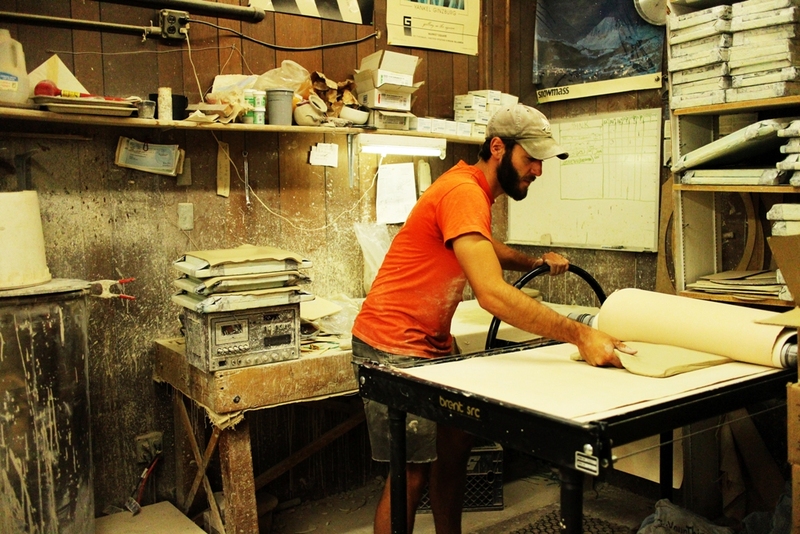 In these photos Jesse is cutting and pressing the clay that will later become ceramic plates. that is so cool! i love mason jars, but the added ceramic gives it such a neat touch! Thank you for dropping by to visit my blog...so happy to visit and follow yours as well! I LOVE the ceramic mason jars! I do believe I will have to visit his website. I love the large version of the jar. Looking forward to seeing more of your blog! So interesting! 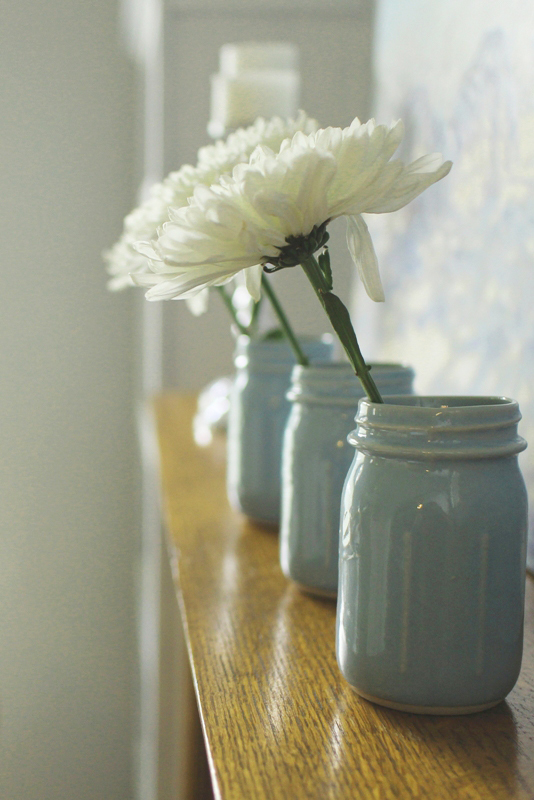 The blue ceramic mason jars are so pretty!!! Hello and thank you for visiting my blog. I'm glad you enjoyed it. Those Mason Jars are brilliant! I think these are absolutely beautiful - and all his work is quite amazing. I love to see young artisans creating something out of the ordinary - Jesse certainly is doing this. I don't see the Mason jars listed for sale but I could e-mail him I suppose. I love how yours look on the mantel - great find! I'm looking at my collection of vintage glass jars - pretty of course - but the ceramic ones are a step up and will be a bit more elegant for areas other than the kitchen! BTW - looked back at your French lemonade bottles which look lovely in the window. I recently bought the same thing - they had them at World Market. Haven't opened mine yet but once I do I will be keeping the bottle - well that's actually why I bought it, to use as a vase! Thanks for stopping by and wishing me well - doing better after resting this weekend and getting some good sleep at night! Aren't you the savvy stylist?! ;) Your ceramic mason jars are beautiful and they look perfectly at home on that warm wooden mantel, against the cool blue hues of the painting behind it. Thanks for all the great info on Jesse Woodworth, who, by the way, looks like a sweetheart and a hard worker! Enjoyed this gorgeous post! I love your blue jars and you mantel looks gorgeous. Absolutely lovely! those cereamic mason jars are just so pretty! That color is so pretty! What a creative idea ! Interesting post! Thank you for visiting my blog and for the sweet comment. So pretty... My favorite color! How fun! I love finding new artists and artisans…I usually try to find one while on trips and get a piece of pottery, etc.. to remind me of the place we were in. Loved the mason jars and loved the color as well!